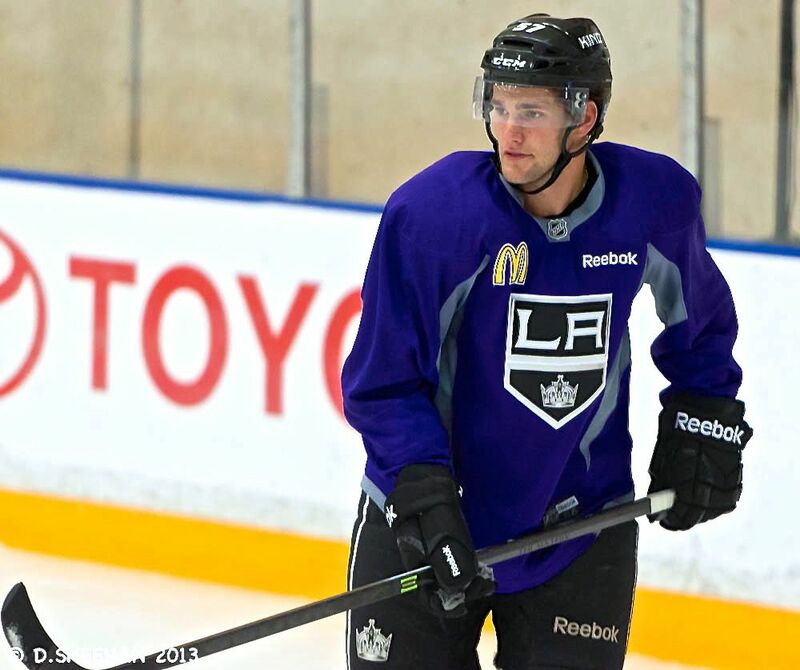 during the Kings’ 2013 Training Camp. LOS ANGELES — As reported in this space on October 15, the Los Angeles Kings have three, young forward prospects who are knocking on the door, just one player personnel move, or one injury, away from cracking the big club’s roster. One of those players is 22-year-old, 6-0, 200-pound forward Linden Vey, who was selected by the Kings in the fourth round (96th overall) of the 2009 National Hockey League Entry Draft. Vey, now in his third season with the Kings’ primary minor league affiliate, the Manchester Monarchs of the American Hockey League, was drafted as a right wing, but has played at center since last season, when his line, which included Kings prospects Tyler Toffoli on right wing, and Tanner Pearson on the left side, lit up the AHL. Pearson will undoubtedly return to the left wing spot on the line with Toffoli and Vey, eventually, perhaps even this weekend. But in the meantime, like the rest of his fellow Kings prospects, Vey needs to remain focused on the task at hand, and like so many young prospects, his biggest challenge is his defensive play. Vey led all Canadian major junior hockey leagues in scoring in the 2010-11 season, scoring 46 goals and adding 70 assists for 116 points in 69 regular season games with the Medicine Hat Tigers of the Western Hockey League. But he did that without having to pay much attention to playing defense. “The biggest thing for me, the last two years, was working on that—being on the right side of the puck, and it’s really helped me on the offensive side of the game,” he elaborated. 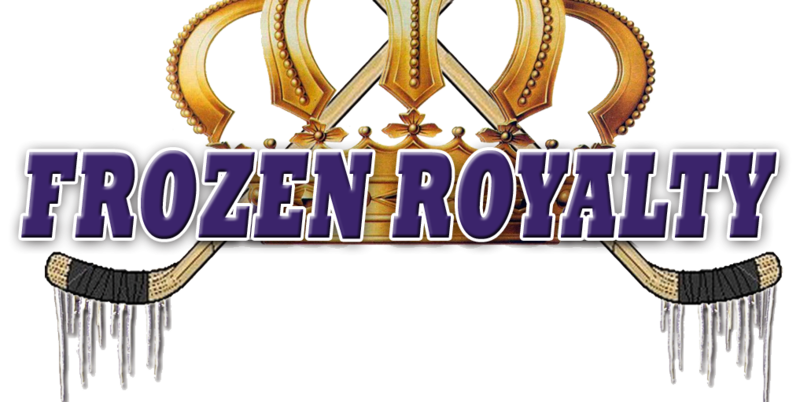 When he was assigned to the Monarchs from the Kings training camp back in September, the Kings coaching staff also focused on his defensive play, but indicated that they like the progress he has made. Over the past two seasons, Vey has become increasingly aware of that fact that he must improve his defensive play, and while in the Kings’ training camp last month, he watched the Kings centers closely. Indeed, Kopitar is one of the best defensive forwards in the NHL, one worthy of consideration for the Frank J. Selke Trophy, awarded annually to the best defensive forward in the NHL, certainly a player that a younger player can learn a lot from. Another aspect of the game that Vey is working on is assuming a leadership role. Morris’ comments about Vey point to a marked increase in his maturity, and may be a reason that Vey was named as an alternate captain for the Monarchs this season. “Now, what it boils down to is him just being the guy, and being the type of player who’s going to make those around him better,” said Morris.